Justin Haughwout, the Clinton teenager who grabbed national headlines earlier this week for his YouTube video showing a drone that fired a gun, has been charged with assaulting two police officers, , police said. Haughwout was also the focus of widespread news coverage last year when police charged a woman with assault after she confronted him at a state beach about flying a drone there. He recorded the assault with his cellphone camera and posted the video online. Haughwout, of Egypt Lane, was arrested Wednesday on two counts of assault on a police officer and one count of interfering with an officer, a court clerk said. He was arraigned Thursday at Superior Court and released after posting bond. His bail had been set at $12,500. Haughwout has not responded to attempts to reach him for comment. 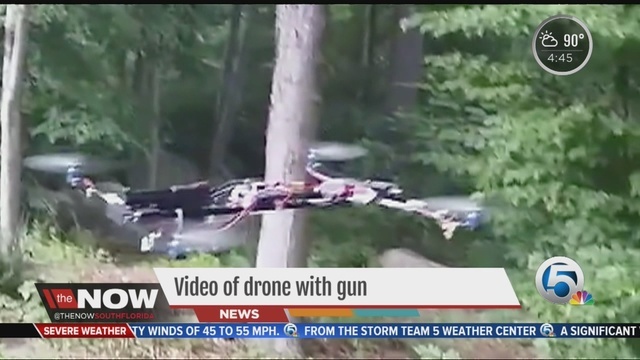 Police said Thursday the charges had nothing to do with the video of the gun-firing drone. Police said the arrest allegedly was not related to the gun-firing drone video, but the teen claims he has been “harassed” by authorities over the video. Authorities asked Haughwout on Wednesday to turn himself in for an incident with a police officer in a library parking lot Sunday, for which there was an arrest warrant. 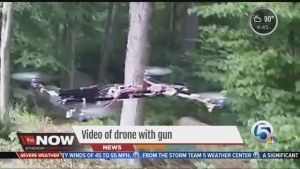 The teenager who got national attention for posting a video of a drone firing a handgun, is accused of assaulting a police officer who was attempting to arrest him on charges related to a motor vehicle case. 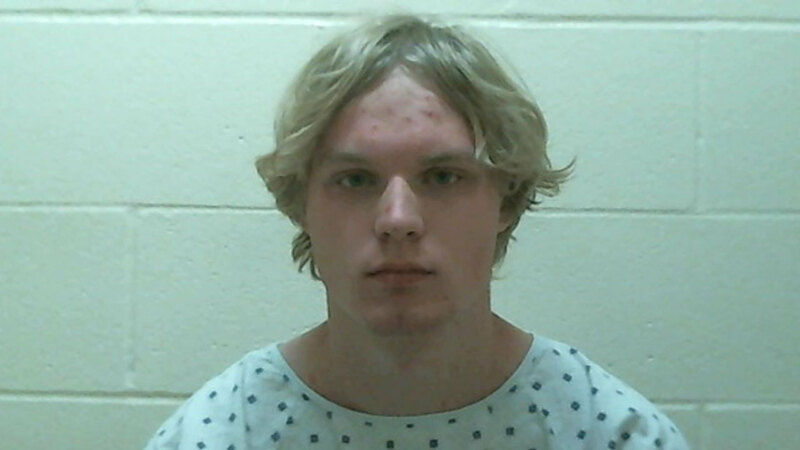 Austin Haughwout appeared in Middletown court on Thursday to face charges that Clinton police say had nothing to do with the unmanned aircraft. CBS Connecticut reports that police say they asked 18-year-old Austin Haughwout to come to the police station to be arrested on Wednesday. When he arrived, police say he refused to obey an officer’s instructions, and then tried to leave. The officer reportedly tried to restrain him, and a fight started. Police say Haughwout hit and kicked officers, who suffered minor injuries. What’s interesting is nearly all of the stories being published are not sharing Austin’s perspective. While the video he attempted to collect during his voluntary turned himself in to the local police is still MIA. Austin has shared a very interesting video that captures the entire event that was the catalyst for Austin’s later arrest and the violence that followed. Here is a lengthy except, but I feel it’s important to share Austin’s position. This is obviously a story that will continue to develop.